Imagine walking along the beach and picking up a beautiful and intricate conch shell. One may not understand its significance, but everyone can appreciate its beauty, detail, and strength. To think that such a lovely thing could emerge from the powerful dark ocean is always a wonder to behold. 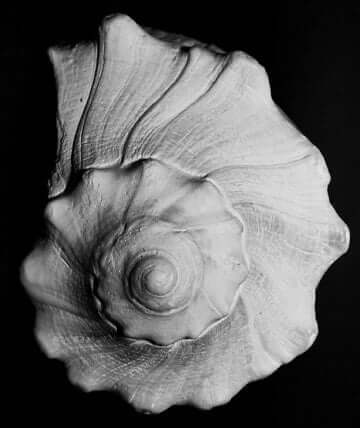 Think of the image of a shell. Its curves and edges have been shaped by the ocean, and many come out to the shores wonderfully smooth. It has been a home and protection for some animal of the sea, and it displays a beauty that only nature can create. Imagine the power that an object like that could contain. It knows the secrets of the ocean and has absorbed its strength and mystery. Many like to come and gather basketful of shells to create collections, build crafts, or even make jewelry. Shell art has always been popular, and not only is it known in Feng Shui for its aesthetic beauty, but as can be expected, it also has great power and significance. In Feng Shui, it is important to locate the different locations of the eight aspects of life (The Eight Mansions) using the Bagua, and then, one can begin to orient their spaces and add auspicious objects to certain areas to usher in wealth, luck, and success into their lives. Using seashells, especially conch shells, is no exception. Place them in the proper areas to make use of their strength and power. It is meant to represent Buddha’s voice and the spreading of his teachings. It will be found many times in statues or pictures of him. It was often used as a horn in times of battle or at celebrations and was also used by royalty to show off their status. 3. Shells represent protection like a cover. The spinier the shell, the more protection it provides. The smoother it is, the more comfort and peace it gives to the home and its occupants. 5. It can also aid in strengthening and continuing long distance relationships by encouraging more opportunities for the couples to see each other. 6. A conch shell can help bring about overseas business success. 7. The conch shell is especially useful in helping to incur extra wealth and income. Remember a shell’s connection to the element of water, which brings wealth and prosperity! Remember to think of placing the conch shell in the proper places using the Bagua. It depends on what one wants to enhance or encourage in the home. Is it wealth? Strength? Comfort? Protection? Love? There are many ways the conch shell can be used, and this article will outline a few of them. The Bagua is a map of Feng Shui that will help guide practitioners of this art form to properly and effectively organize their spaces and objects. On the classical Bagua, there are 8 sections that cover over the different areas of our lives. Depending on where one goes, the names can be slightly different but the basic titles are: health, career, love, fame, wealth, helpful people, and spiritual growth. Sometimes travel or children are added to sections of the Bagua as well. Each of these areas have a particular compass direction in which they are located, so that a person knows where to face their furniture and place their auspicious objects to bring about success in that particular area of the Bagua. For additional wealth and income opportunities, place a conch shell in the north area of the space. It is good if the conch shell can be large, between 7 and 8 inches, but if that is not possible, a smaller one will do, or a group of smaller conch shells can be placed together to increase their effectiveness. For help in love and other relationships, place a conch shell in the southwest corner of the living room or bedroom. The conch shell is especially helpful for long distance relationships because it helps to bring about more frequent opportunities of seeing one another. For fame and success in that area, place the shell in the south corner of the living room. This will help increase the positive reputation of the owner in others’ eyes. For success in travel, carry a shell along in the suitcase or other bag to provide protection. Also, include a shell in the business bag to aid success in business. A conch shell is especially useful for overseas business. Place spiny shells on the windowsills to bring protection to the home and to safeguard it. Add shells to the kitchen to help encourage the energy of comfort, family, and a positive home environment. Including a water fountain in the home can help enhance potential for success with money, and putting shells into the fountain can ensure that wealth will come and remain there! Place a basket of shells in the living room to represent a stable and successful career, and add shells to the bathroom to emit an energy of harmony to those who enter. Shells can be used in an incredible amount of ways. Their intricacy, strength, and beauty have a power and significance in Feng Shui that can be channeled and brought into the home or the work area to enhance positive energies in those spaces. It is more likely that people will want shells in their homes and not in their work places, but not to worry, careers can be enhanced from home! Conch Shells can help to strengthen friendships and romantic relationships, create wealth and prosperity, provide protection and comfort, success in travel and business, and can also be a beautiful addition to a home decoration. All seashells have the ability to bring about these positive things, but the conch shell is particularly powerful. It is a symbol of Buddha, his strength, and the spreading of his beliefs. It is also a symbol of status and royalty. In past history, when used as a horn, it was intended to ward off evil spirits. Imagine a shell having the ability to bring all of these wonderful energies. Go out to the beach to pick one up and start reaping the benefits!